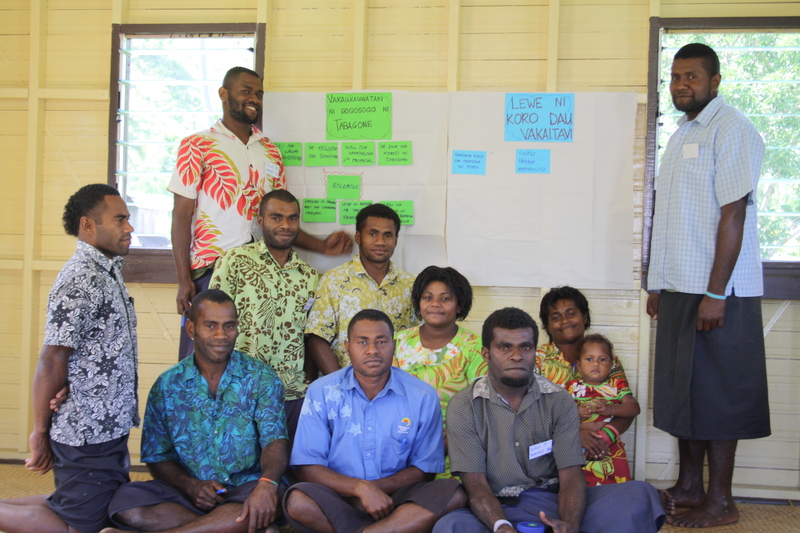 Turaga ni Koro’s, women and youth leaders of the villages of Toga and Natawatawadi from the Tikina of Naqalimare in the province of Nadroga/Navosa are currently undergoing an Effective Leadership and Good Governance Training facilitated by the Citizens’ Constitutional Forum (CCF) in Toga village. “Effective leadership plays a vital role in the development of good governance practices in all communities and institutions. This workshop aims to address the capacity needs of leaders increasing their skills and knowledge which helps them become effective leaders in their communities and organisations,” said CCF’s Community Education and Field Officer, Sereima Lutubula. CCF believes that a character of a good leader is fundamental to the success of their leadership style. A strong character of integrity, honesty and a proactive approach to challenges is vital. This training is conducted for the first time for the two villages and CCF hopes to educate and build leaders’ capacity in areas of good governance and leadership, enabling a participatory approach to their projects and avoiding top-down hierarchies. CCF hopes to equip leaders with the knowledge to conduct their own needs analysis with their communities to identify development projects. From previous CCF’s community education workshops it has been identified that village’s need more capacity building in developing project plans and writing simple project papers. Through this workshop CCF aims to build the capacities of communities in proposal writing for development projects. “The training will also provide practical project writing skills and information so they can learn how to access funds for development projects and how to utilize the strengths in their community,” said Ms Lutubula. Similar training were successfully conducted in Tikina Noikoro in the villages of Nakoro, Navitilevu, Vatubalevu and Namoli, Tikina Namataka in the villages of Draiba, Keiyasi, Nasaucoko and Tikina Bemana in the village of Tuvu, which is located in the highlands of Navosa. CCF has noted immense positive developments in these villages. “Many villages now have a fair idea of how to financially support themselves and their family and to also manage their groups and committees in a more transparent and fair manner,” Mrs Lutubula said.